I want to start out by saying, in 25 years I have yet to perfect this. What I have learned is to give myself grace and margin. 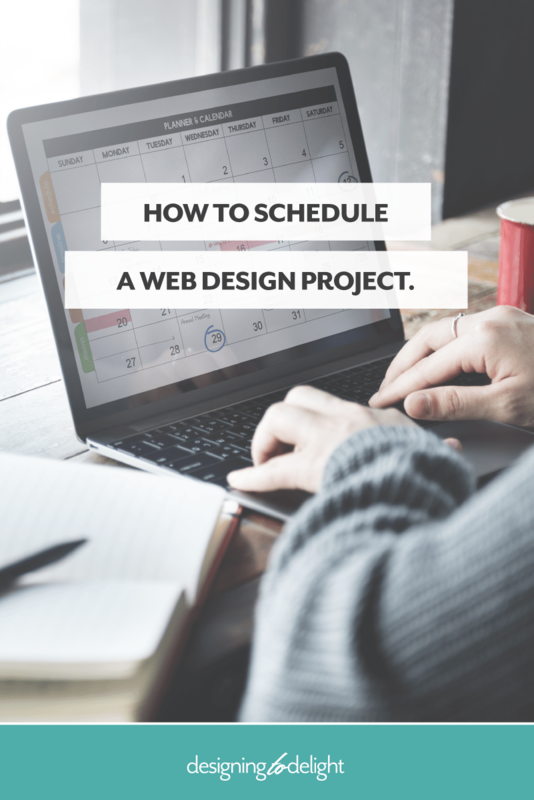 Before I dig into how I schedule a client project, I want to address some of the things that can disrupt client scheduling. You have to decide what you are willing to tolerate. New projects always move to the end of my existing production timeline. New clients have to be willing to wait for their turn (I don’t work with impatient clients). I need at least 2 weeks lead time for ongoing requests from existing clients. I very very rarely deal with anything due in less than 2 weeks. If a client website is down or hacked, I refer my clients to someone who is already awesome at dealing with those emergencies. I simply will not disrupt my work schedule for someone else’s urgent. A lot of stress and a few holidays ruined by clients finally taught me this. It’s important to recognize what we can realistically accomplish in a day. How many focused hours do you really have? Is it 4 in an 8 hour day? Is your task list ridiculously long and spills over into the next day? Are you switching from client to client? We are not machines and neither are our clients. We are creative beings who need rest and space to do our best work. We need to stop berating ourselves when we go off track. 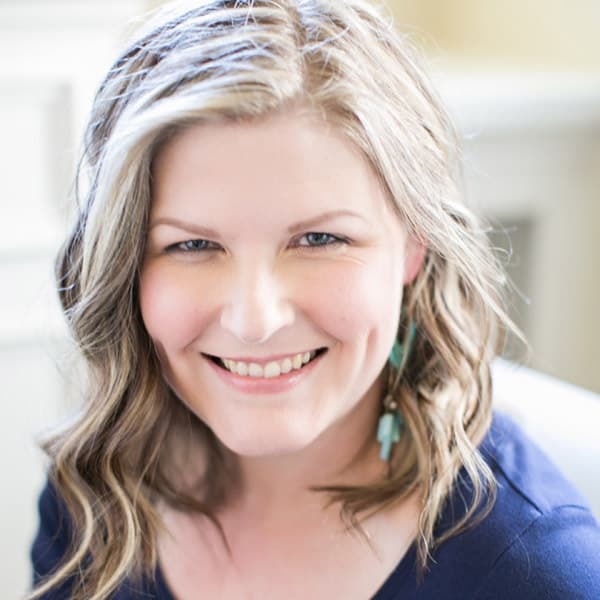 We need to create schedules not only help keep our clients on track, but also allow us to extend grace to ourselves or our clients when one of us needs it. I typically work with 2-3 clients at a time. Just because I can build a website really fast, doesn’t mean I should. 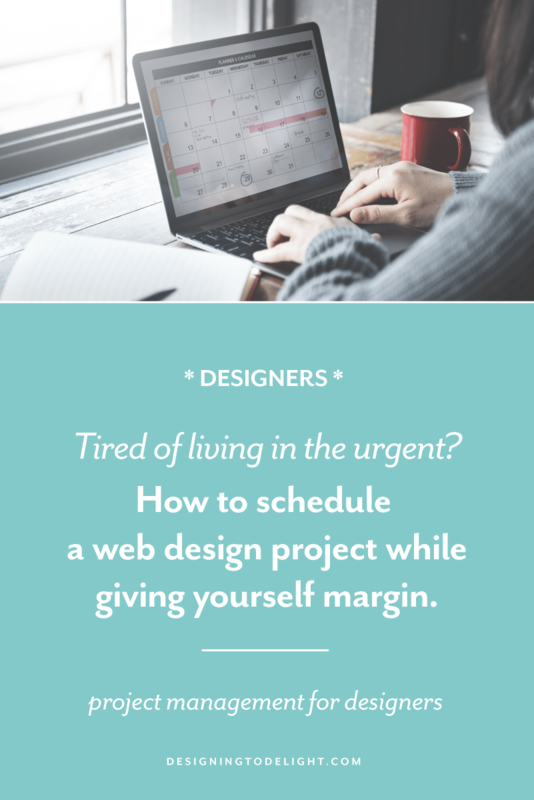 If I worked on a custom website non-stop – without a client slowing me down – I can do it in about 30-40 hours. With a client participating and no delays? 6 weeks. With 2-3 clients at a time so I can give them each space to understand and fully collaborate? 12 weeks or more. Learn more about how I work with design clients here. If you work on a tight client schedule, then you need strong boundaries and plenty of client reminders to keep things on track. 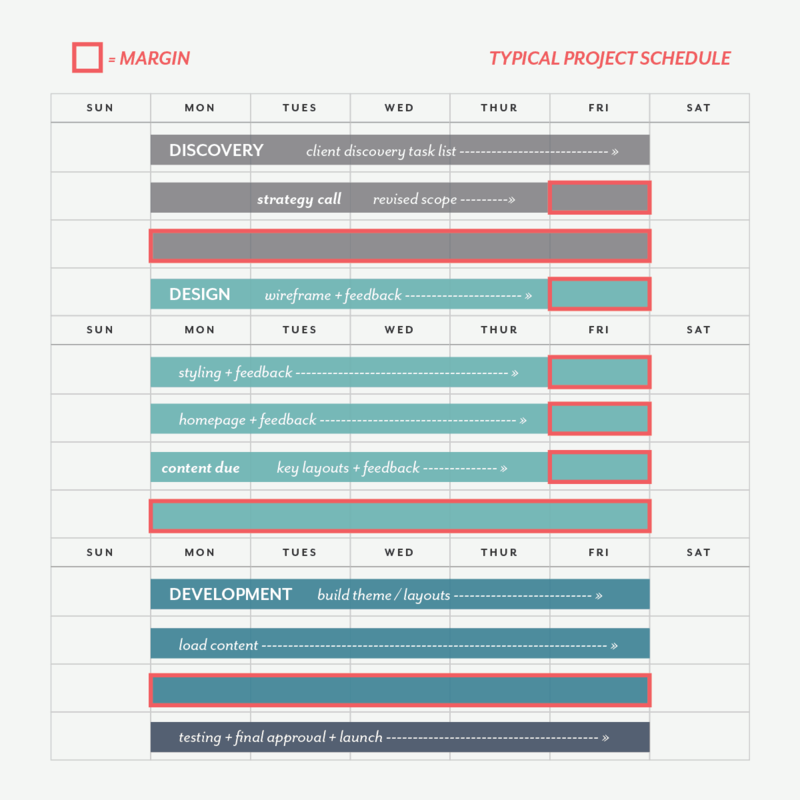 Before scheduling your project, make sure you’ve mapped out the hours each phase is going to take AND you know how many focused hours you have in a day. Don’t assume clients know what you need. Break down tasks for them and give them plenty of lead time and reminders. If you notice a spot where clients continually get stuck – consider changing that part of your process or creating a resource to help them through. Margin. Margin. Margin. Add several days to the end of each phase of your process. Make client tasks due one or two days (or more) before you really need them. 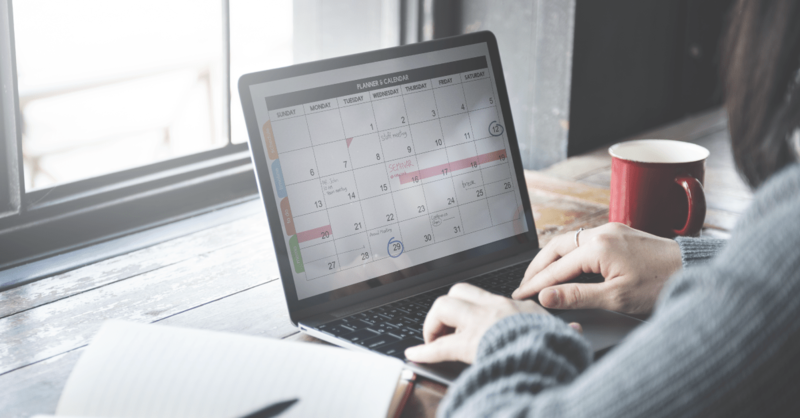 Are you realistic about your schedule? Are you struggling to create something that consistently works for you? Does the whole thing fall apart when one domino falls? Talk to me, I would love to help you figure this out.